Welcome to a (relatively) new monthly series where I post about my latest reads and recommendations! I am a bit behind so this includes reads from December of 2017 and what I have completed so far in January of 2018. I am catching up on my ever-growing-to-be-read-list and this time I have THREE books for you! First, we will talk about Nicole Tone’s collection of poetry entitled Secrets of the High Priestess. I met Nicole on Twitter a few years ago and watched her publishing journey. This is my second book to read of Nicole’s and the first poetry collection I have read in a long time. But goodness this spoke to me on so many levels. Let’s just flat out say it – Nicole is brilliant. Even though they were her words, I felt like she was explaining me. She was talking about my thoughts, my feelings, my life. I related to this work so much that I asked her if I could do a conceptual photography piece about it, and I am so happy she agreed (I will post that this spring). This is definitely a must read that you won’t be able to put down and will think about for days (even weeks) afterwards. Want to order it? You can find it here on Amazon, and don’t forget to leave a review on Goodreads! I gave this five stars on Goodreads. 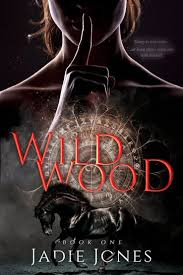 In December I read Wildwood, the first in the Hightower Series by Jadie Jones. First of all, this cover is stunning. It has been submitted into contests for cover of the month this year – and is gaining rank! Your in for a wild ride with Wildwood (get it? Ah sorry for the joke). This read was wildly (sorry again) refreshing. Though this has the chosen one aspect, I felt it was a new take on it and the plot was something I’ve never read before. Honestly, at first I thought it started off a little slow but then found I couldn’t put it down. Jones’ did a perfect job of letting us get to know the MC and really seeing her grief and how it changed her. And really I appreciate a book that can give me not just one, but two plot twists I didn’t see coming (but made sense, not far reaching out anything). The story really did keep me on my toes and now all I want to is book two, and luckily it comes this year! Want to catch up and read this before the second novel comes out? You can find it here on Amazon, and don’t forget to leave a review on Goodreads! I gave this four stars on Goodreads. And my last review (but certainly not least) is for the novella A Wild and Unremarkable Thing by Jen Castleberry. I received an ARC from the publisher for an honest review. As a lover of dragons, I was really intrigued about this story. I loved the premise of this. It felt fresh and new – and her pitch really got me hooked! A girl is forced to live as boy, encounters a prince, a god, and a spiraling sociopath on her way to slay a dragon! Jen’s voice is unique and the first chapter hooked me. Cody/Cayda’s character longs to be free and be herself but her father’s voice is in her head. Her character growth was well done. Her love for her family felt genuine. I would have loved to see one of her sister’s perspectives, even if it was just a few chapters. Penn was my favorite character – his playfulness with Cody is what I live for (slow burning love and secrets – yes please!). I didn’t really feel connected to Wolfe and Fare’s storyline, and the ending seemed rushed. I needed more, and I think the characters needed more. Overall, Cody/Cayda’s story is one that will stay with me. I plan on buying the book to support the author. You can find it here on Amazon, and don’t forget to leave a review on Goodreads! I gave this four stars on Goodreads. Stay tuned for the next installment in February! ahhhh! Goodness, that just makes me want to read this book even more!